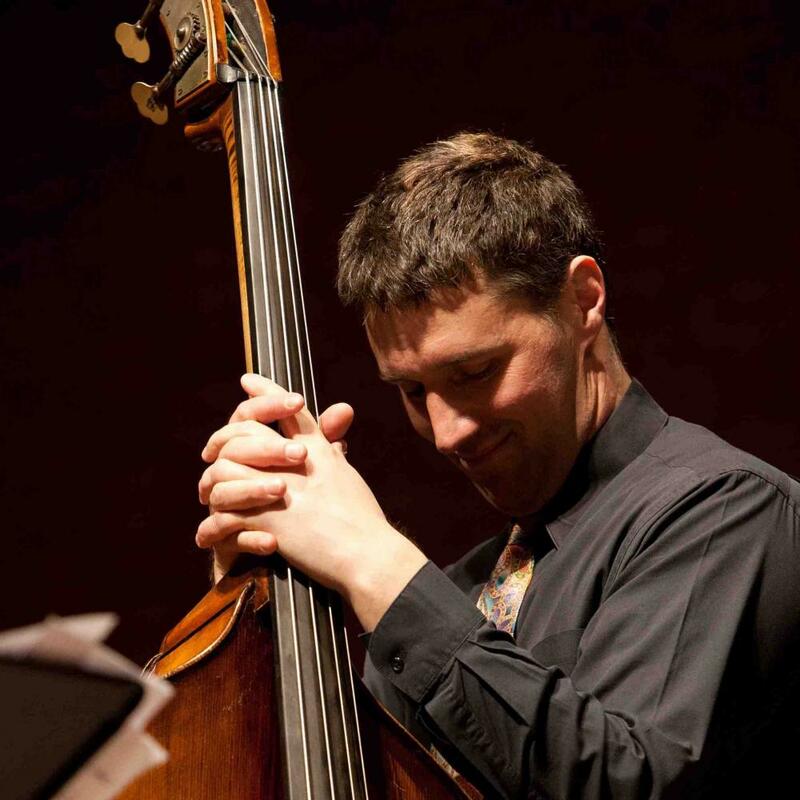 Joshua Davis joined the music faculty at Penn State in 2018 as a lecturer teaching classical and jazz double bass and ensembles. He is also the Director of Jazz Studies at Susquehanna University (2006-present) and was the Director of Jazz Studies at Towson University (2002-06). Before Towson, he was an awarded leader of curriculum development at Berklee College of Music where, as one of the youngest faculty members, he taught for six years. Joshua spent two years as a member of the faculty at the University of Maine at Augusta and has taught numerous performance skills clinics at USC, Berklee, Koyo Conservatory in Kobe, Japan, the Fairbanks Summer Arts Festival, and various schools of all grades throughout the United States. Recent MENC-affiliate work includes MD All-State Solo/Chamber adjudication, directing a District Jazz Ensemble (Tunkhannock, PA), and conference presentations about improvisation and other jazz performance skills at MMEA (MD), PMEA (PA), MD All-State Jazz, and VMEA (VT). Internationally-acclaimed performances include concerts at the Kennedy Center, Carnegie Hall, the National Concert Hall in Taiwan, Lincoln Center, Meyerhoff, the Blue Note Jakarta, Bimhuis Amsterdam, and Strathmore Hall, to name a few. Internationally-recognized performances include televised concerts in Turkey with Randy Brecker, Sean Rickman, and Timucin Sahin, a U.S. Dept. of State-sponsored Armenia concert with Jerry Bergonzi and Vardan Ovsepian, and numerous other concerts with The Ritz, the Baltimore Symphony Orchestra, The Four Freshmen, Tim Miller, Ben Monder, Peter Erskine, Mark Ferber, Jordan Perlson, Sean Rickman, Marcello Pellitteri, Dan Weiss, Ted Poor, Ari Hoenig, Ole Mathisen, Jerry Bergonzi, Donny McCaslin, Taylor Haskins, Dave Ballou, Greg Hopkins, JD Walter, and many others. Pictures of Your Next Decision, Joshua’s most recent commission for orchestra and double bass solo, will premiere in November 2018 with the West Shore Symphony Orchestra in Camp Hill, PA. Other recent commissions include Overflow and Convergent Mirrors, a one-hour program for Artichoke Dance Company’s concert series featuring double bass improvisation and Ableton Live, R Trainversations, a choral work for Bella Voce Singers, and Partita Reflections, a four-movement contemporary reflection on Bach’s b minor Partita for Solo Violin, featuring improvising double bass and violin. Known Garden, a recently released CD, features Joshua’s compositions played by contemporary jazz performers. Squashua, Joshua’s first feature recording as an arranger and leader, showcases Romantic Era symphonies and the music of Sting. Joshua has a B.A. in Theory/Composition from the University of New Hampshire, an M.M. in Orchestral Double Bass from New England Conservatory, and a Composition D.M.A. from the University of Maryland at College Park.